In collaboration with TRIcentenaire asbl, we created a chocolate collection hand crafted by the workshops at ChocolaTRI. These fine chocolates and pralines are made by people with various disabilities. We designed a series of chocolate moulds, planned to be sold for National Holiday festivities on public markets and in selected stores. 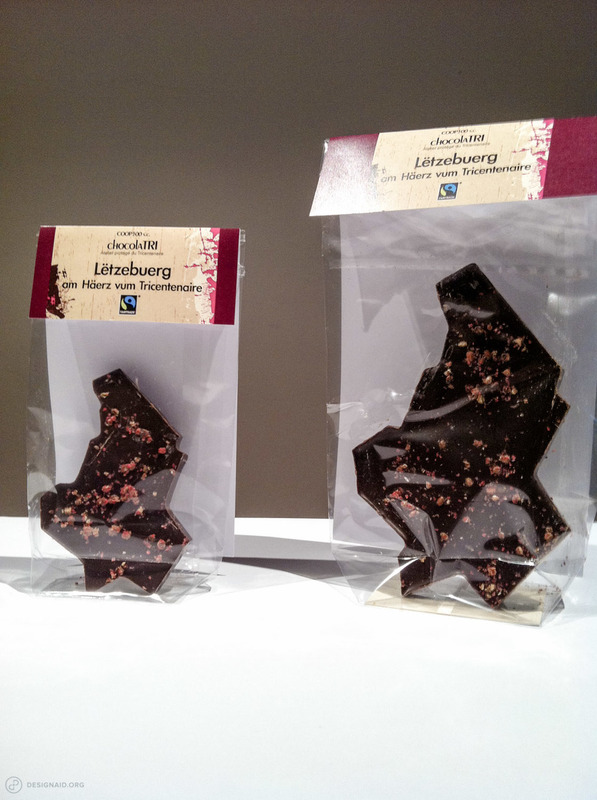 The moulds represent a topographical map of Luxembourg, sprinkled or infused with various flavours. These chocolate workshops create adapted work for people with disabilities in a protected and fun environment under the Transfair Fairtrade label .